There are no more excuses to avoid the cloud. The internet is more than a decade old and it offers a stable platform with some clear benefits for financial organizations. True to the conservative nature of CPAs, accounting firms have lagged behind the rest of the world in adopting cloud-computing models. But all the signs are pointing a clear pathway into the digital universe, and our clients are clamoring for new models and easier access that the cloud provides. Cloud technology is the key to keeping accounting firms moving forward. This post looks at how cloud services can improve CPA firms. The internet has democratized the tools and models that large accounting firms have been able to afford, but the small firms haven’t. “As-a-Service” models have created a multi-billion dollar industry segment that every type of company has taken advantage of. Ease of access for your clients (and your firm) is the top benefit of cloud services. With encryption, files can be securely distributed online, taxes can be electronically submitted, and you can dial in from home and work on your most pressing tasks. The software we access online is not only interoperable with other platforms – it has allowed small firms to access enterprise resource planning (ERP) and other tools. These tools are helping accountants create more value for clients by moving from the once a year tax advisor to a trusted business planner providing financial and accounting advice to clients all year long. Lowered costs of cloud computing mean that even the smallest of agencies no longer have to worry about big hardware expenditures. Enterprise level firms can eliminate costly server rooms that are simply not as secure as today’s Internet Service Providers (ISPs) data warehouses. Cloud services are utilized via a low-cost monthly subscription, a budgeted expense that eliminates the spikes from equipment costs when it fails and must be replaced. IT outsourcing in the form of managed services allows the small to mid-sized firm to reap the benefits of a full IT team to handle data security or other services. Enterprise organizations can outsource IT as a supplement to their existing internal staff, freeing them up to work on specific projects. Scalability has been one of the top benefits to cloud services for years. This means you can easily add more bandwidth, more storage, or downsize users as you need to. It’s quick, easy, and low cost, allowing for fluctuations in your business model. 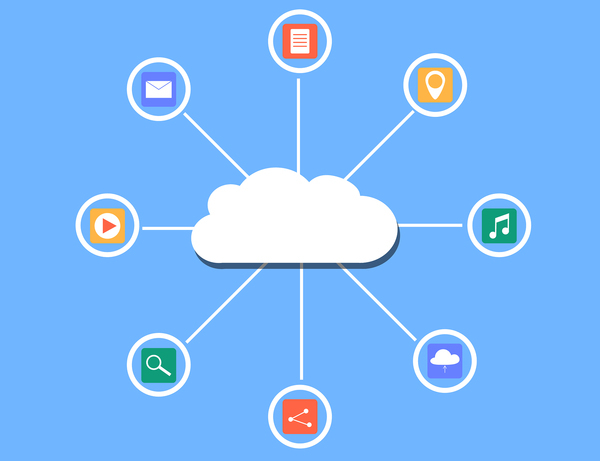 Cloud services are customizable, which is incredibly important as your digital systems become increasingly complicated. APIs can link disparate platforms together in the cloud, which can improve workflows. Today’s platforms can take one specific piece of data and populate it across multiple systems, reducing your margin of error and speeding up your workload. Automation is a key feature of cloud services, whether it’s marketing or using machine learning algorithms to calculate data. The technology we use in the cloud is more efficient than anything you’ve used in the past, and CPAs that leverage automation will work smarter and not harder in the future. TOSS C3 is standing by to help you understand how cloud services can benefit your firm. Request a quote on cloud services today.